Edelbrock Intake manifold gaskets feature micro pore MP-2N Ultra-modern environmentally safe gasket material that provides excellent sealing on rough, irregular flange surfaces. 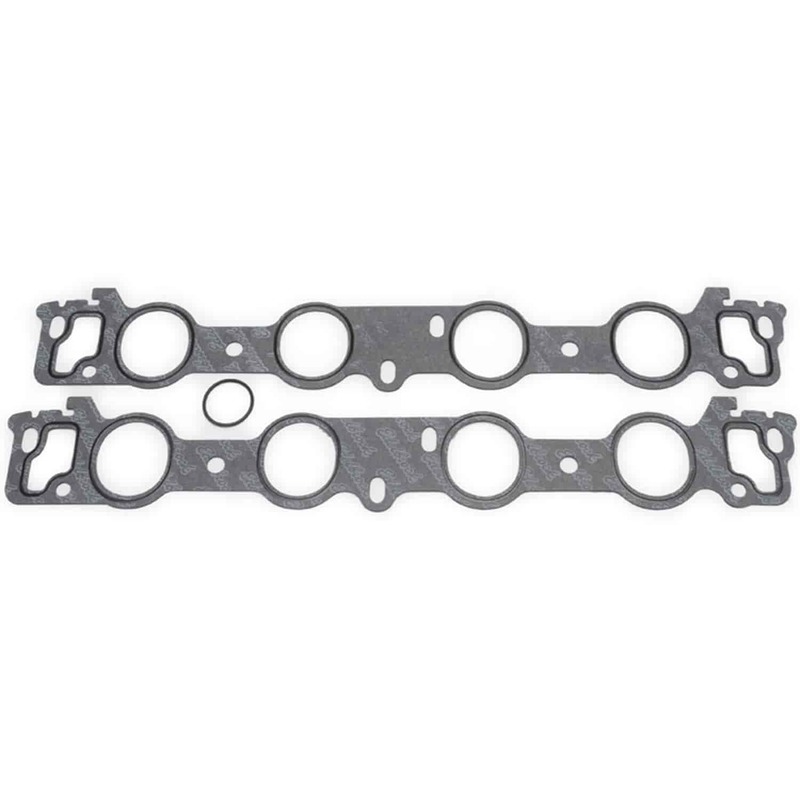 Impervious to most chemicals including gasoline, alcohol, coolant and oils Edelbrock Intake Gaskets provide optimum sealing in intermittent operating temperature up to 400 degrees. The synthetic fiber blend is light years above existing materials currently on the market by providing a minimum of 30% recovery under load. This means that the gasket when compressed has a memory that allows it to expand, filling any imperfections on a sealing surface. Does Edelbrock 7223 fit your vehicle? 7223 is rated 1.0 out of 5 by 1.